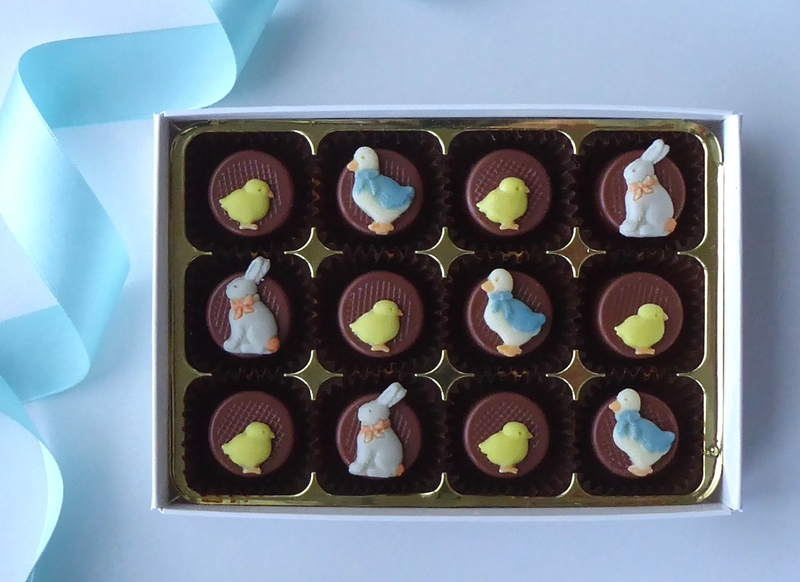 A parade of gorgeous handmade Easter motifs decorate these lovely chocolates, a gift that's really different for your Easter giving this year. 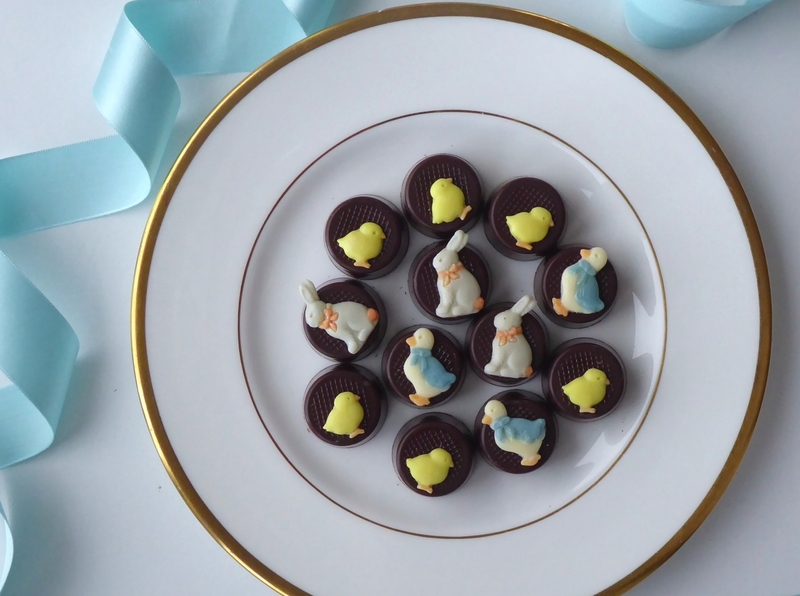 Who could resist our tiny chicks, dressed up ducks and smart bunnies? Choose from quality milk or dark chocolates, with a choice of fillings - almond marzipan or our special silky smooth, melt-in-the-mouth fondant style filling in a range of flavours.